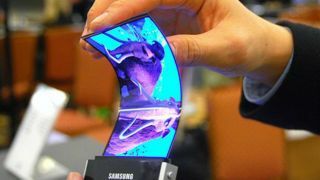 We've been hearing rumors about a foldable Samsung phone called the Galaxy Xfor a long, long time now, and the most recent leaks from insider sources suggest Samsung is aiming for an early 2019 release – right in the middle of the 2019 Mobile World Congress (MWC) trade show, in fact. That's based on some digging from South Korean outlet The Bell, which says Samsung has also upgraded the device's nickname from "Valley" to "Winner". And that, apparently, is a sure sign that the company is now looking to begin production in earnest. The display components will be ready in November, the report says, with a full launch the February after at MWC. Apparently, production numbers will be limited, as Samsung tests the waters for this kind of device. The company isn't expecting this to shift in the same kind of quantities as the Samsung Galaxy S9, says The Bell. There's also news on the form factor of the device, something we've seen a lot of speculation around. The new report suggests it's going to be made up of three 3.5-inch displays, so you can fold it like a book, open it like a tablet, and still see one of the screens when the device is closed up. That points to a device along the same lines as the ZTE Axon M but presumably with a bit of extra Samsung polish. We've heard all kinds of rumors about the specs and design of the Samsung Galaxy X down the years, so don't take this as certain yet. Samsung has publicly mentioned that foldable phones are on the way though, so it's a question of when rather than if. It now sounds as though that "when" could be in less than a year, at MWC 2019, so adjust your smartphone buying plans accordingly (chances are you'll have to save up quite a bit of cash for this).